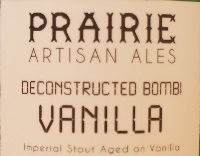 Brewer Description: (from bottle) Imperial Stout Aged on Vanilla. 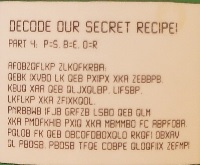 Decode our secret recipe! Part 4: P=S, B=E, O=R. QEBK IXVBO LK QEB PXIPX XKA ZEBBPB. XKA PMOFKHIB PXIQ XKA MBMMBO FC ABPFOBA. QL PBOSB. PBOSB TFQE COBPE QLOQFIIX ZEFMP! Then layer on the salsa and cheese. and sprinkle salt and pepper if desired. to serve. Serve with fresh tortilla chips! Intro: A 12 fl. oz. bottle with no clear bottled on or best before date. Poured into a snifter glass. Appearance: Dark dark brown to black in colour with a half finger mocha brown head that dissipated quickly and left only sparse to no lacing. Aroma: Roasted malts, chocolate, cocoa, vanilla and a light nuttiness. Taste: Similar to the aroma, with roasted malts, chocolate, vanilla and light coffee. 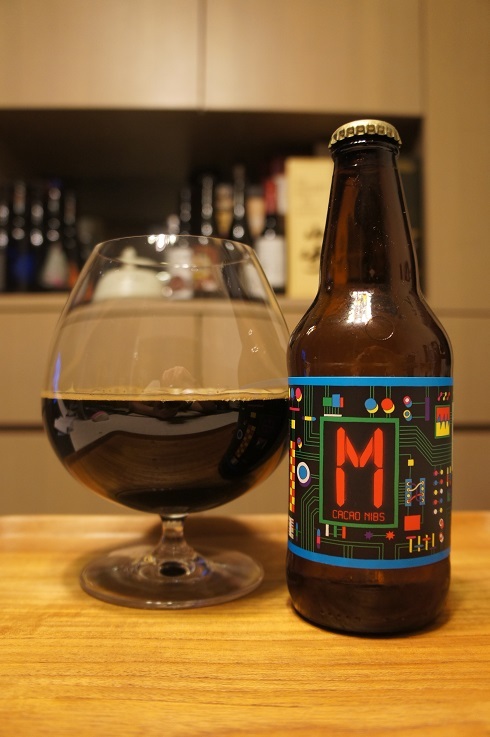 Mouthfeel: Medium to full bodied with soft carbonation. Overall: This was good, but perhaps the only reason I preferred the Coffee version over Vanilla was because this was slightly too sweet for my palate. In the end though, the original was better than any of the deconstructed versions. 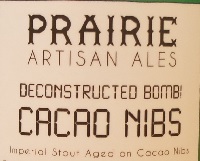 Brewer Description: (from bottle) Imperial Stout Aged on Cacao Nibs. 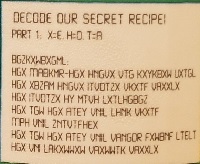 Decode our secret recipe! Part 3: Y=S, K=E, U=O. IXKGS INKKYK, GTJ ZGIU YKGYUTOTM. LUX GHUAZ ZCKTZE YKIUTJY ZU YULZKT OZ. YVXKGJ ZNOY UTZU ZNK HUZZUS UL G JOYN. TKDZ YVXKGJ UT ZNK YUAX IXKGS GTJ MAGIGSURK. cream cheese, and taco seasoning. for about twenty seconds to soften it. Spread this onto the bottom of a dish. Next spread on the sour cream and guacamole. Appearance: A dark dark brown to black in colour with a thin mocha brown head that disappeared almost immediately and left only sparse to no lacing. Aroma: Roasted malts, chocolate, cocoa and oak. 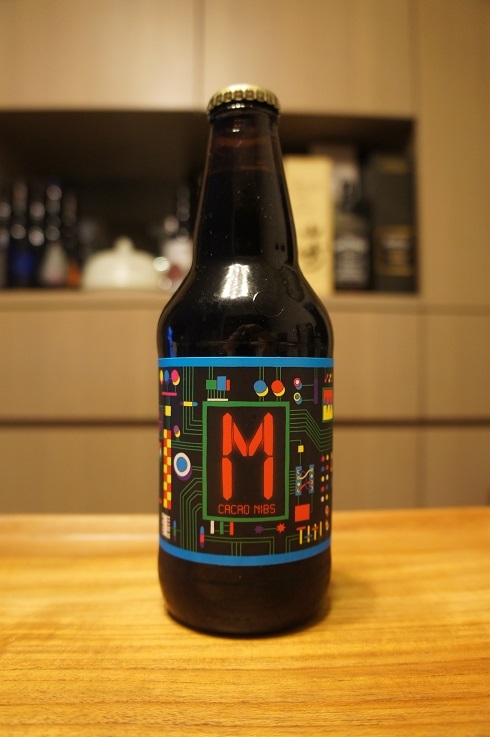 Taste: Similar to the aroma, there’s roasted malts, cocoa, chocolate, hints of vanilla and a boozy lightly bitter finish. 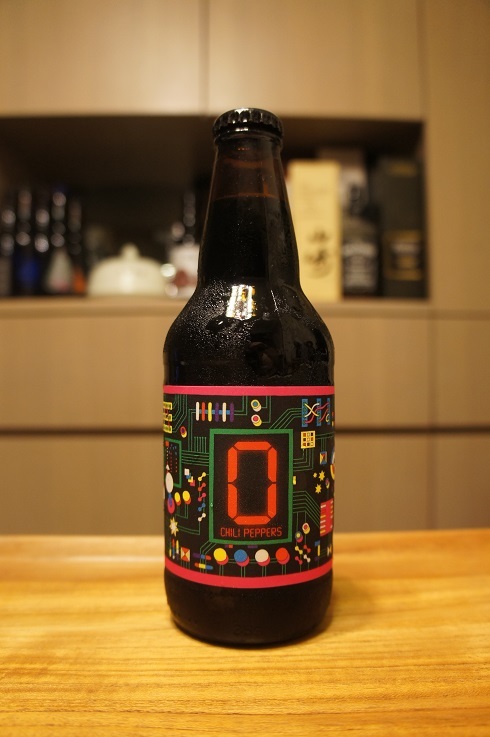 Overall: Aroma was nice, but taste while not bad, was not as good as the Coffee or Vanilla versions. Having said that, the Original was definitely better than the Deconstructed versions. 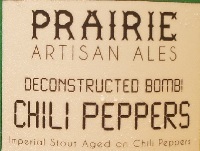 Brewer Description: (from bottle) Imperial Stout Aged on Chili Peppers. 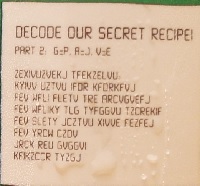 Decode our secret recipe! Part 2: G=P, A=J, V=E. Appearance: A dark dark brown to black in colour with a near one finger mocha brown head that dissipated quickly and left only sparse to no lacing. Aroma: Roasted malts, chocolate, toffee and light chili spice. Taste: Roasty malts, light sweetness, chocolate, light lasting chili spice and bitter finish. 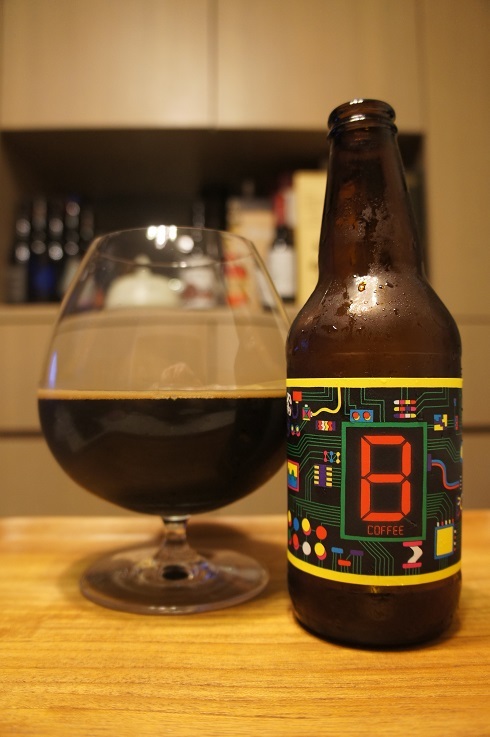 Overall: The chili spice had a nice kick to it, but I was missing the nice stronger coffee notes that were present in the original Bomb!. 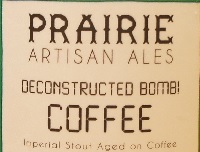 Brewer Description: (from bottle) Imperial Stout Aged on Coffee. 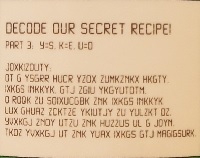 Decode our secret recipe! Part 1: X=E, H=O, T=A. Appearance: Dark dark brown in colour with a thin mocha brown head that dissipates quickly and leaves only sparse spotty to no lacing. Aroma: Roasted malts, chocolate, coffee and light nuttiness. Taste: Roasty malts, roasted coffee, sweet chocolate and toffee with a hint of bitterness on the finish. 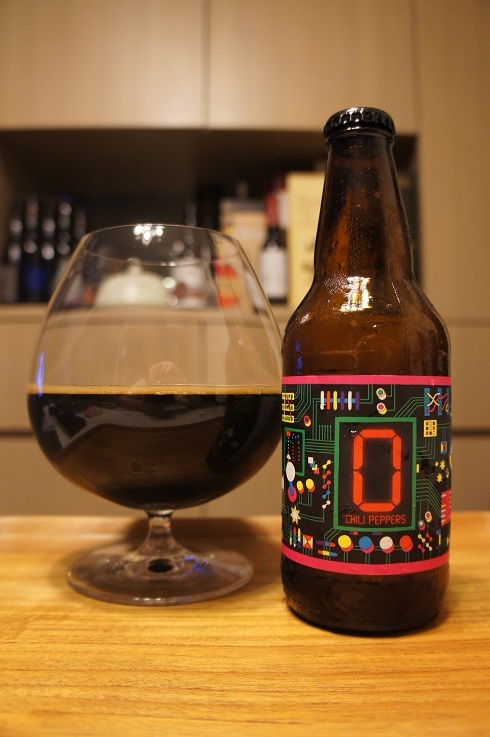 Overall: A nice Imperial Stout, but I prefer the original Bomb! more. Having said that, this was the best of the Deconstructed lineup. 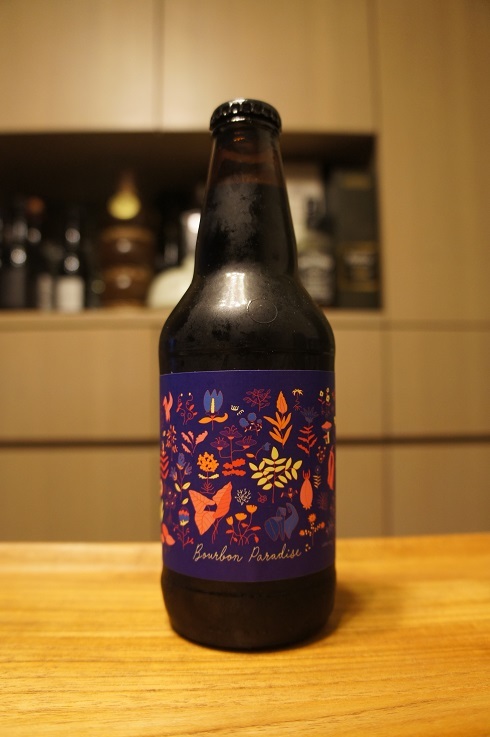 Brewer Description: (from bottle) Bourbon Barrel Aged Imperial Stout aged with coconut and vanilla. Intro: A 12 fl. oz. bottle with a Julian bottled on date of, I want to say, 32517, but it’s not so clear. Meaning that it was bottled on 21st November 2017. Poured into a snifter glass. Appearance: Black in colour with a thin mocha brown head that dissipated quickly to a ring around the glass while leaving only sparse lacing. 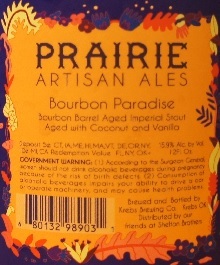 Aroma: Roasted malts, milk chocolate, vanilla, caramel, toasted coconut, bourbon and oak. Taste: Rich creamy milk chocolate, bourbon sweetness, oak, vanilla, caramel and light toasted coconut. 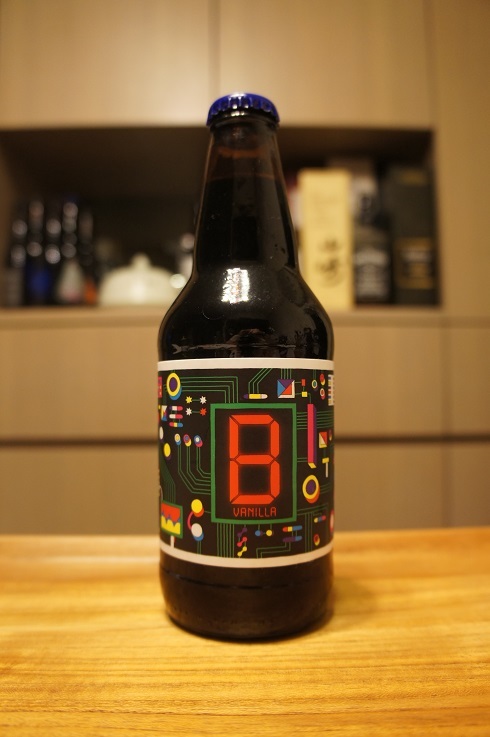 Mouthfeel: Velvety smooth, rich, full bodied with soft carbonation. 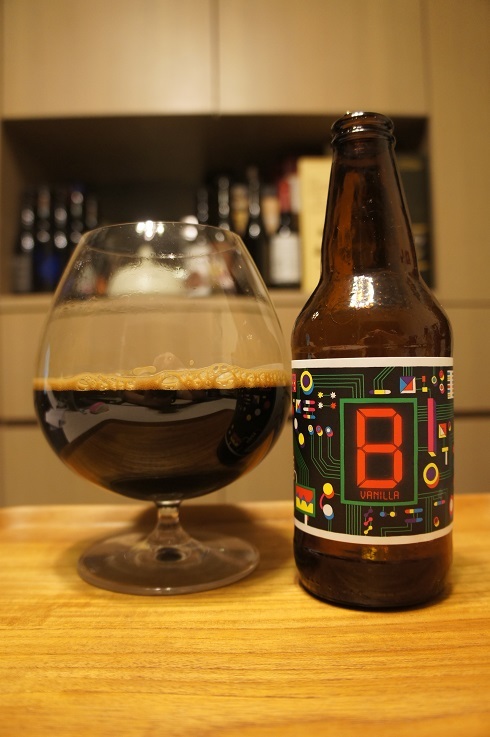 Overall: Wow, almost 16% ABV but it still drinks so smooth. 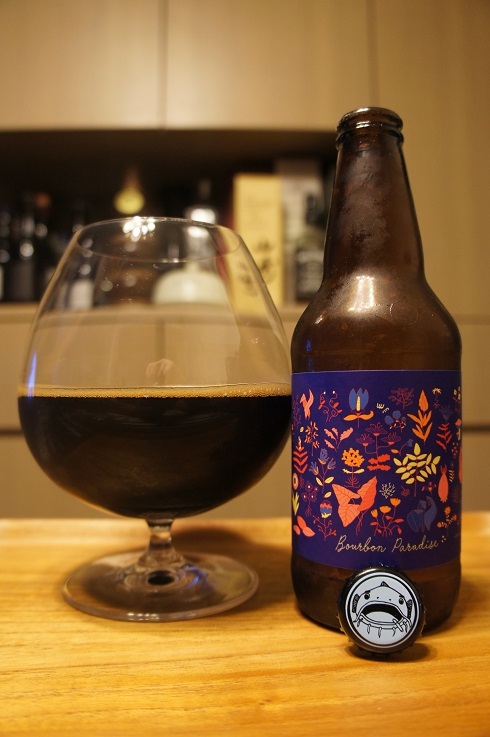 The bourbon sweetness comes through strongly along with the booziness that follows, but it’s well balanced with the rich chocolate flavours and compliments the vanilla and coconut. An excellent sipper.